Prominent & Leading Manufacturer from Coimbatore, we offer kettle machine. Since establishment, we have been playing a lead role in manufacturing and exporting a quality range of Kettle Machine. 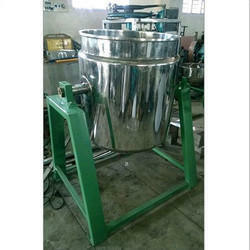 This machine is suitable for grinding spices in food industry. To comply with set industrial norms, we use optimum quality.